If you’ve had an unexpected change in your finances, it can make keeping up with your car payments difficult. Rather than doing a voluntary repossession of your car, which can hurt your credit, you can trade in your car or refinance it. If you trade in your car, you can purchase a less-expensive vehicle that’s a better fit for your budget. You will need to know the value of the car so you can make an informed decision about your trade-in. Ideally, when you trade in your vehicle, it has equity. This means that your car is worth more than your outstanding loan. Do some research, either online or by talking to dealers, to find out the trade-in value of your vehicle. Compare that value to the amount left on your car loan. If your car is worth $6,000 and you owe $3,000, you’ll have $3,000 of equity in your car. This means that when you take the car to the dealer, they’ll pay $6,000 for the vehicle. They will use $3,000 to pay off your loan and $3,000 will go toward the new vehicle. Trade-ins work a bit differently if you owe more than your car is worth. Your car may be worth $3,000, but you may owe $5,000 on your car loan. In this case, the dealer may be willing to pay off the loan. If your dealer makes this promise, make sure to review your new vehicle loan carefully to make sure they don’t roll the amount you owe into the new loan. 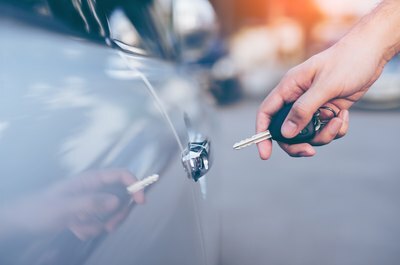 If the dealer isn’t able to pay off your loan, then the difference between what you owe and the value of the car will be added to your new car loan. If your car is worth $2,000 less than what you owe, that $2,000 will be added to the new loan. Once you’ve determined the value of your car, contact one or more car dealers, if you haven’t already, to find out how much they will offer for the trade-in. You may also want to shop different lenders for your new vehicle loan. 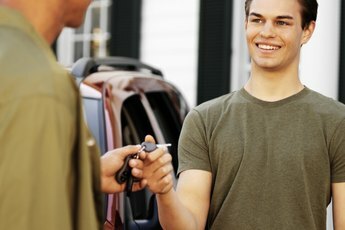 Getting multiple auto loan quotes won’t hurt your credit score as long as they are within a 14-day period. 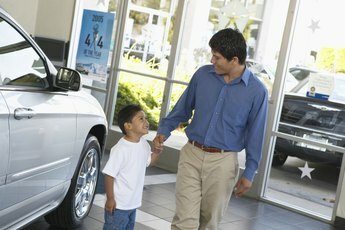 Once you have financing secured, go to the dealer and decide on a new vehicle. Let them know you want to trade in your current vehicle. From there, you will have paperwork to complete. You can also secure financing from most dealers, but the terms may not be as good. If they offer financing, compare it to the other offers you’ve received and go with the loan with the best terms for you. Trading in your vehicle may not always be the best option, even if you’re in a financial crunch. Refinancing can help you keep your current vehicle and lower your monthly payments. You may end up paying more interest over time, though. You could also consider selling your vehicle on your own and paying off your loan. You may get more for selling it outright than you would for a trade-in, and you can use any balance left after paying off your loan as a down payment on a new vehicle. If you're doing business with only one dealership, Consumer Reports recommends negotiating the new vehicle's price before discussing the price for your trade-in. You'll get more money for your vehicle if you sell it instead of trading it in. This option works best when you are upside down in a car loan. Being upside down in a loan means you may have to roll any remaining balance after the trade into a new car loan. Lending Tree: Should You Refinance Your Car or Trade It In? Kelley Blue Book: Upside-down on a Loan? 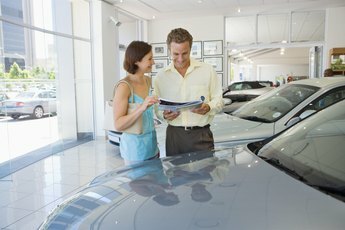 What Happens if the Car Dealer Can't Find Financing After You Take the Car? Can a Car Dealership Take a Car Back If Your Financing Is Not Approved? Can Someone Take Over Payments on a Financed Vehicle?